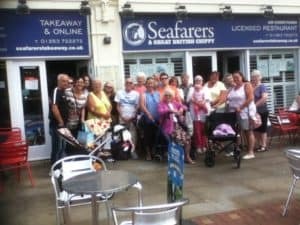 Our Wednesday Fellowship enjoyed their annual outing to Lytham St Annes on July 10th. In the midst of this hot summer it was a great day out by coach. Some of the group can be seen after an excellent Fish and Chip lunch. A great day of fellowship and fun were enjoyed.